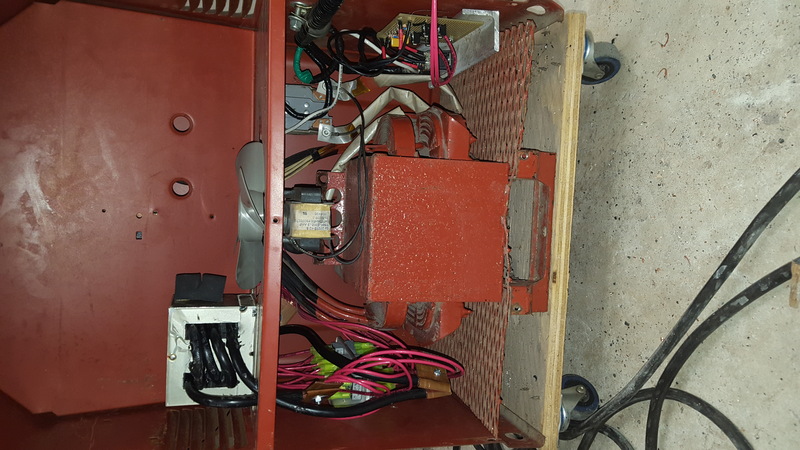 Although it probably would have been cheaper in the long run to just buy an AC/DC stick welder, who doesn’t love a new project? 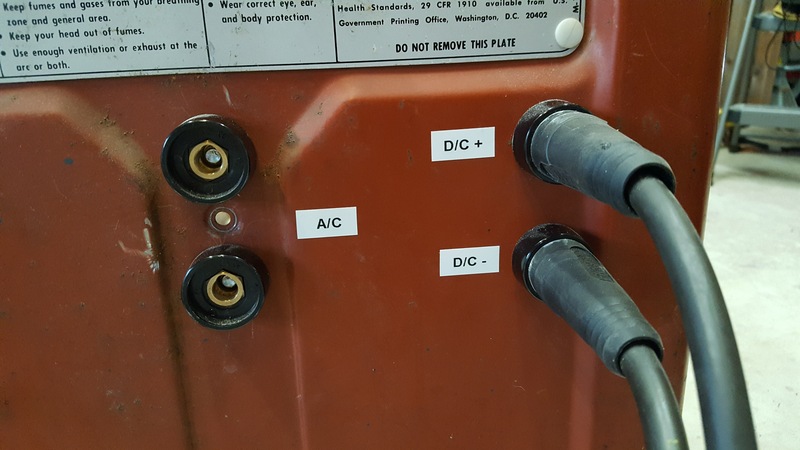 As in my first post about the welder, most of what I’m doing is following Gregory Hildstrom’s article on doing much of the same work to his own AC-225. Without his articles, I probably wouldn’t have started this in the first place. I cut 24 12 gauge wires to a little over 12″ each and added connectors on one end. Four per rectifier and six rectifiers total. After doing the full install, 12″ was a little too short. Next time I would go with 16″ so none of the wires would be under tension. I tried out using copper lugs when I added quick disconnects, and they worked well, so I did it again for these. The key seemed to be hammering the edges after clamping in the vise otherwise the wires were a little loose. Then, drill a hole in each just larger than the 8mm bolt that will hold it on. 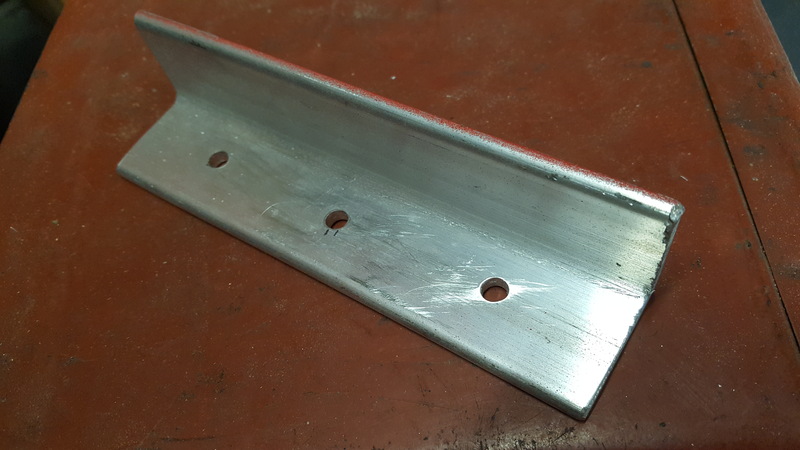 I grabbed a leftover aluminium L-bar and cut it to about 6″ and drilled holes the same size as the mounting holes on the rectifiers. Next, I drilled some small mounting holes from the outside of the case and into the L-bar. 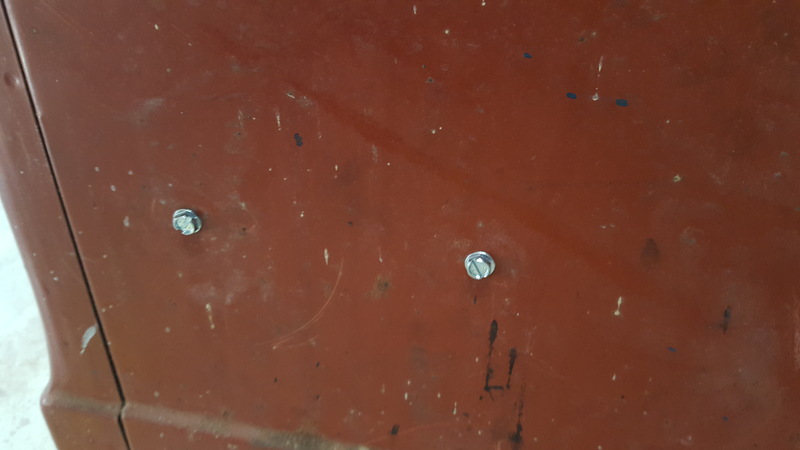 These took machine screws to secure in place. I used six single phase bridge rectifiers from Amazon for $22.98. 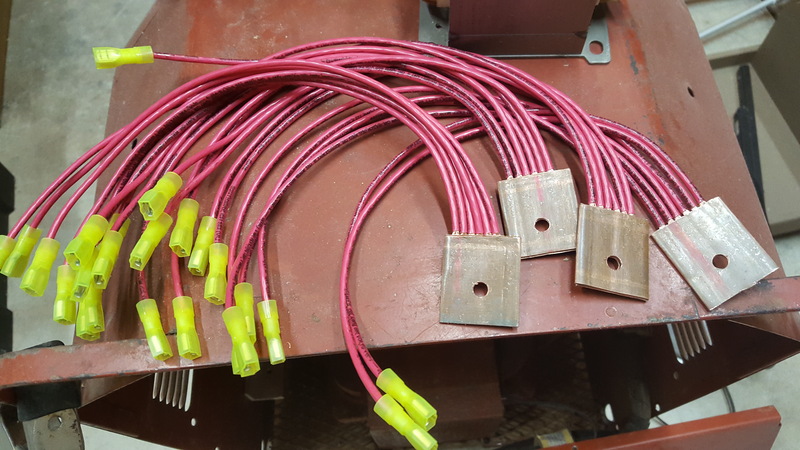 All of the connectors from one copper lug are connected to the positive outlet on each of the six rectifiers. Same for the negative outlet and all the AC connectors. A single 10-32 bolts holds two rectifiers through the mounting holes. 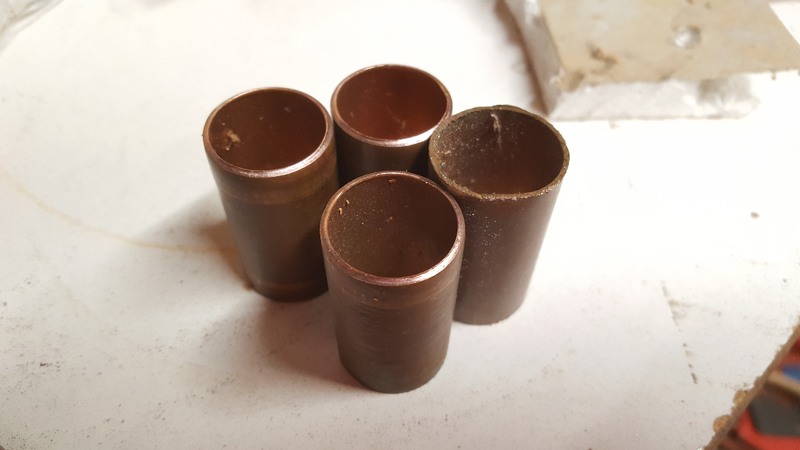 The DC copper lugs are mounted with the original bolts that came with the quick disconnects and the AC quick disconnect are attached with the two 8mm 1.25 x 20mm bolts since they have two copper lugs instead of one. 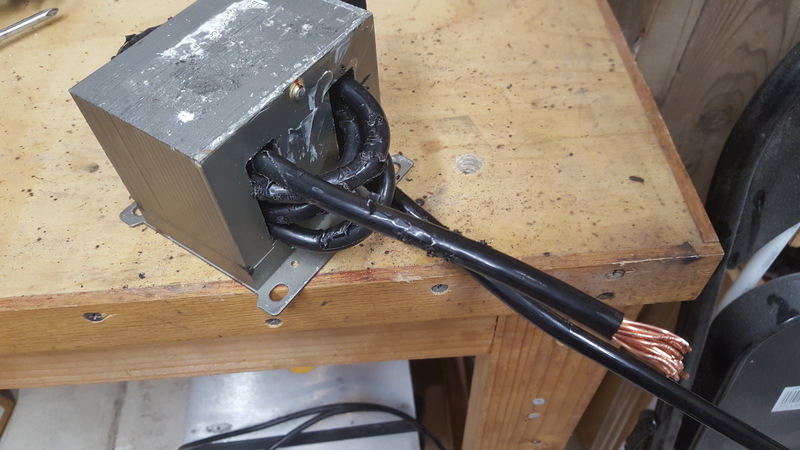 After reading up on this modification (see the links below), I made a small choke out of an old microwave transformer core and four turns of 2 gauge wire. This is wired into the positive side of the DC output. After running some tests, I do believe the arc runs a little smoother with the choke than without it. The only downside is that the edges on the transformer are so sharp, it chewed up the jacket on the wire. 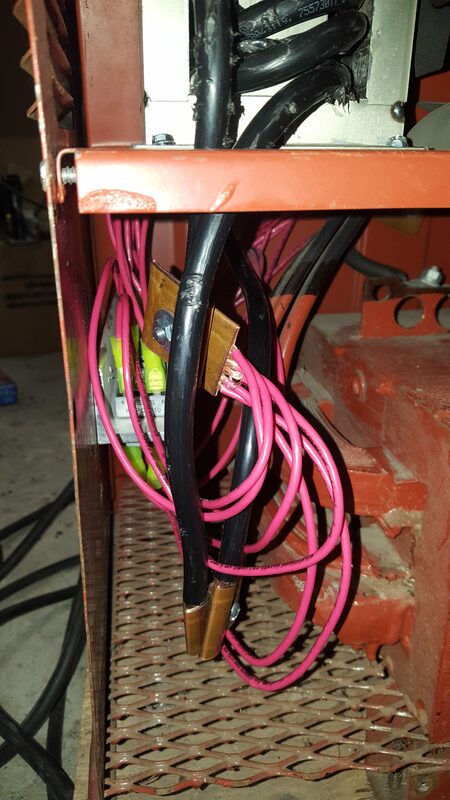 It makes me wonder if it would be as effective if I wrapped the wire around the entire transformer and not just through the center. DC seems to work pretty well. I plan to do some tests on different rods and the amps they run best at. In doing a few tests, it was interesting to see how quickly the rectifiers and the aluminium L-bar heat up on DC. 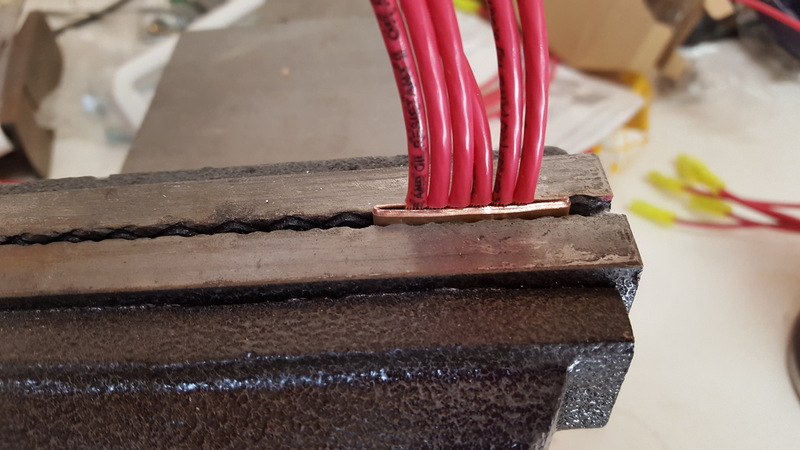 In a 6″ run at 90 or 115 amps, the rectifiers easily got over 100℉ but thanks to the decent hunk of aluminium they’re mounted on, they cool down in about two minutes. 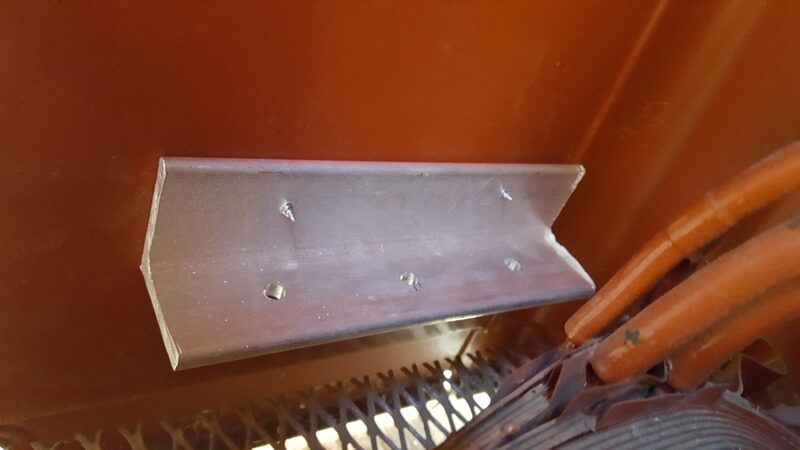 I also checked the transformer temperature and although it didn’t heat up as quickly as the rectifiers, it hit over 100℉ as well in about two 6″ beads. I didn’t find a datasheet on these particular rectifiers, but similar ones list 150℃ (302℉) as their maximum temperature. Since the tombstone is a 20% duty cycle machine, I doubt I’ll get them up to the max in 2 minutes of welding. 1 Pings/Trackbacks for "Lincoln AC-225 DC Conversion"